As teams get set for the month of April, the next step on the journey toward Super Bowl 53 in Atlanta involves invigorating the team’s rosters with an infusion of youth; the 2018 NFL Draft. 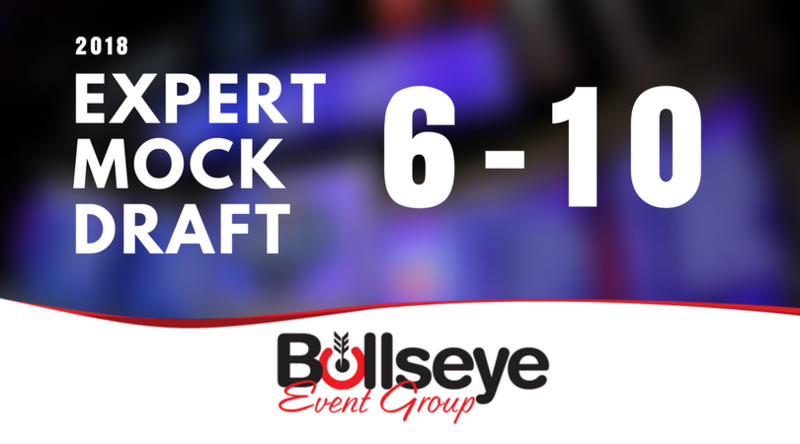 We’re gathering some of the top experts from around the NFL world and taking a look at who they predict will go where, continuing with picks 6-10. For Matt Miller and Bleacher Report’s full 2018 NFL Mock Draft, click here. For Charles Davis and NFL.com’s full 2018 Mock Draft, click here. For R.J. White and CBS Sports’ full 2018 NFL Mock Draft, click here. Looking for travel packages, tickets and information for Super Bowl 53, including the 2019 Players Tailgate, the #1 Super Bowl weekend event?